Slowly but surely, things are starting to get green again! With the consistant rain showers the lush areas of Torrenta are finally starting to come back to life. Pokemon are starting to emerge more frequently as the weather turns from a bitter cold to a gentle warmth. But with more Pokemon starting to show, they are also starting to become a bit more territorial so it's best to watch where you are adventuring. Current Default Skin by Ash, image from Safebooru. All content © 2005-2018 Torrenta. Characters, posts and other creative ideas are property of their respective owners. Pokémon and all respective names and trademarks © 1996-2018 Pokémon Company. the stuff you want need to know! Well gosh dang this is the first blurb of the year! (Mostly because i've been lazy to make these but...) So we have a new layout for spring! It's called LION ROAR and features some lovely feline Pokemon! Keep an eye out in the near future for our easter event and also for the Jirachi wishes and AFE posts to be finished and handled with! Hope you all enjoy the layout! I promise I wasn't dead. I maybe only forgot to write blurbs. Alrighty folks, so we have a Halloween event kicking off this month so month so make sure you go get your character's TP'd or something else disgusting. Also we have a new layout. I hope you like it! Good Evening everyone. My name is Ash and I will be your hostess through this terrible weather everyone seems to be having. Well, its a good thing that it's spring in Torrenta (and on the 20th irl). So to bring in the hopefully good weather that will be coming, we have a new layout! I also was able to get the full MOON layout that I promised 5ever ago up so go ahead and check that out for a pretty cool chill vibe feeling to it. Really, do it. It's fabulous. But I hope everyone enjoys their time and know that school will be out soon! YEAH! Important questions about the site itself are listed in here. Also, explanations on the mechanics on how Torrenta works in terms of levels and battles are also here. Essentially, the major OOC section. General discussions take place here. Besides the Cbox, this is probably the most fun to be at. Maybe. We don't know, but it's here, anyway. Leaving for a little bit, or for a good amount of time? Post here to let us know! Here you may post your advertisements for other sites, or look to seek affiliation with Torrenta. Currently, we only accept ads from sites hosted on either Proboards, Invisionfree or Jcink. Double or incorrectly posted ads will be deleted. Release your creative genes! Yeah, pretty much this is a board where you can show your creativity. Where you got to create your character profile. 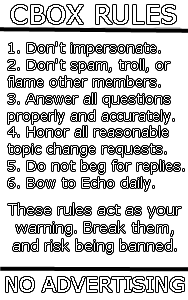 Make sure to read the rules, though, or it won't be accepted. Journals, theme songs, radio stations! Never before has being a character been so easy and fun! If it's been five days and a mod hasn't replied to your thread, post here to let us know, and a new mod can help you out! The most popular place to get a free Pokémon, the Torrenta Region Pokémon Laboratory is generally well-kept and modern. Its automatic sliding glass doors, which cannot be slammed, are always open to anyone who wants a free Pokémon. The lab is owned by Professor Terra Green, although half of the time she is out in the field studying. A large expanse of woodland covers most of the Sealan region, populated primarily by towering oak and birch trees. Soft green light filters down through the dense canopy of leaves, though the occasional patch of blue sky allows a pure ray of sun to break through. Winding through the trees is a dirt path which eventually branches off in two directions: one leading to Sealan City itself while the other veers sharply toward Karjun bridge. Various other trails lead off in every direction, showing the movements of people and Pokemon alike. Small rivers and ponds are dotted throughout, giving a welcome break from the overbearing trees. You must complete a route thread here to challenge the Sealan Gym. Deep within the forest, the atmosphere changes, though too slowly to notice until you've already ventured too far. The trees become dense and unforgiving, turning day into night. Soft leaves morph into menacing needles and there is an unnatural silence in the air. Even the ground below can't be trusted; the wet marshy footing does its best to keep unwitting visitors trapped in its grasp. At the edge of the swamp sits a prominent graveyard, surrounded by a large stone fence with metallic adornments and a beautiful metal gate that is perpetually open. The names and dates on many of the headstones have long been worn away, relics of an ancient past. Surprisingly, the graveyard is well kept, though no one is even seen caring for the grounds. It is believed that the ghosts who roam the area are protecting the final resting place of those who have fallen. Farther into Deepgreen, a strange path begins. No tree rests in its way; they simply line the path. This is perhaps the only place where the trees aren’t in clusters, and for some reason the wind blows fiercely here. The pathway slowly climbs into the air, and if you were to walk along it long enough, you would be granted a fantastic aerial view of Deepgreen’s expanse. Along this pathway, Flying-type Pokémon swarm; many of them can be seen from the Aerial Path, flying high above. If you’re clever, you might even be able to catch one. The very northern edge of the Harku region is home to the Rilesia Mountain Range, one of the arguably more dangerous places in all of Torrenta. Many of the paths up the mountain become dangerously narrow, and the rocky ground is known to give way unexpectedly. Finding safe passage to Harku Village itself proves to be a monumental task, as rock slides are not uncommon. The Pokemon who live up here are also hardened to the elements, and will not prove easy to best in battle. Tread carefully, as one wrong step could be your last. You must complete a thread here to challenge the Harku Gym. Finally, the trees of the forest thin out, the sky opening up suddenly. Lush grass blows in the breeze, with only the odd tree providing occasional shade. In this huge savannah, a number of Pokemon reside, congregating near the many watering holes and rivers that dot this region. Only the distant rim of mountains that borders these plains offer any suggestion to a visitor that the Merengi Prairie is not an isolated world of peace and tranquility. Bordering the expansive prairie sits the last remnant of Torrenta's old railway service. While most of the old stations have since been torn down, one single train station still stands, complete with a set of tracks that seem to have become a part of the wildlife. Although completely abandoned, with only the odd Pokemon lurking about, there is the eerie sensation that something is watching from the shadows, as though some sinister being still remains. One of Torrenta’s harshest areas, the Amon Desert is just that; deserted. Remains of vegetation that used to inhibit the area remains and a few brave Pokemon who dare pass through the area are all that is left. The Desert is known for its harsh winds that whip the sand up and its drastic temperatures; the mornings get very hot and the nights get cold. With how arid the area is any and all civilization stays away from the desert. You must complete a thread here to challenge the Kargarius City gym. Beltic Canyon is a breathtaking sight; that is if you can reach it. Once trainers trudge their way through the desert, they come across a very steep canyon. Dangerous trails lead down, but at the bottom of it lays a lush river. While the river is dangerous and violent, vegetation sprouts around it and creates an adventure in itself. All kinds of Pokemon flock to the area as it is the only place in the Amon Desert that you can get water and find anything green, so beware of territorial Pokemon. White sand beaches and one of the sunniest areas in Torrenta, you could call Gutix Beach one of Torrenta’s favorite vacation spots. The truth is the area is as dangerous as any other. Strong undercurrents plague the beach and if one is not careful, they could be easily swept away. The tidal caverns that are littered against the beach’s coast house many different Pokemon. Still many trainers and inhabitants of the region flock to the beach to soak up the sun, so be prepared for the area to be packed. The primary source of power for Torrenta, Nurjak Power Plant is a huge, sprawling factory of sorts located on the outskirts of Nurjak City. Although the majority of the power plant is fueled by solar panels and wind turbine fields, there are still some old generators that attract wild Pokémon no matter how many traps are set up or much repel is sprayed around them. Trainers are a welcome sight, to help keep the number of wild Pokémon under control. Once a lavish and bustling city, Chillwind City was the epitome of perfection. But all went wrong when a group of scientists created the Missingno. The creatures caused the city to "glitch" out, ruining the hard work everyone had put into the town. Legend has it, that the Creation Trio sealed the town off in another dimension, saving Torrenta from the curse that is known as "glitching". Many years later, Nurjak City was built upon the very ground upon which this long forgotten city once stood. An accident in a Nurjak lab opened a dimensional rift, allowing access to this "glitched" world. Noctem Grotto is a long winding maze that without proper guidance or knowledge, one can get pretty lost. The dark and damp caves are said to have been made by the local Pokemon, carving new and winding paths in the tunnels. The Tunnel can be beautiful at times with the echoing sounds of the native Pokemon but even though it can be peaceful, the caverns are prove to cave-ins. Locals who know the tunnels say that deep in them something great awaits trainers, but some say it’s just a child’s tale. You must complete a route thread here to challenge the Fyra Town gym. Past the infamous hot springs, and through a misty tunnel, a small – almost mystical – cavern opens up. This is a place in which time seems to stand still. Shrouded in everlasting twilight, a large waterfall crashes down into a river, which snakes its way down to Gutix Beach. Grassy fields sway with non-existent wind, and there appears to be a soft humming coming from behind the falls. Pristine and unblemished, Meteor Falls remains as Torrenta's best kept secret. Even though Mt. Tiykao is a dormant volcano, the area is a hot spot – quite literally - for locals and tourists alike. Known primarily for its hot springs, Mt. Tiykao is a popular bathing locale, either for simple relaxation or its therapeutic properties. Several geysers are littered around the area, providing spectacular displays whenever they erupt. There are also several trails winding up and through the volcano, but they all ultimately lead to dead ends. Remember, as luxurious as the hot springs may be, many Pokemon make the area their home, and not all are pleased to be intruded upon. A huge suspension bridge that stretches out from the large coastal city of Kargarius to the small island where Fyra Town, among other things, is located. This bridge crosses a huge amount of water in an attempt to reach the craggy, volcanic mountain where Fyra Town is situated. Many Electric-type Pokèmon as well as Water and Bird-type Pokèmon thrive on the bridge. You must complete a thread here to proceed to Fyra Town. A large, raging river flowing down from the Rilesia Mountains cuts most of the Glacier Region off from the rest of the island. At its widest, the opposite bank is far beyond what can be seen with the naked eye, while its most narrow point is flanked by steep banks on either side. Glacier Region has invested in a ferry to navigate the treacherous waters. Because of how inhospitable the river can be, this ferry is always in a state of disrepair – large chunks of ice tend to block the ferry's path, and stormy weather is not uncommon. You must complete a route thread here to challenge the Glacier Town gym. At the very north of the region sits the Ioh Mountain, an eternally snow-covered peak. Though beautiful and elegant in its own right, looks can be deceiving, and it is fraught with peril and danger. Unlike the Rilesia Mountains to the east, or Mt. Tiykao further south, none have been able scale the mountain to its peak. In fact, many believe it is nigh impossible – high winds and stormy weather seem to surround the mountain, and there is always the risk of avalanches. Be warned: many have tried to conquer the stormy peaks, but very few have lived to tell the tale. As one of the newly discovered areas of the Torrenta Region, not much is known about the place dubbed Hibernis Lake. From the outside the most obvious thing is that it is cold... really cold. In fact, the entire lake is iced over year-round, no matter how hot it is in the summer. In the center of the frozen lake sits an island with a cave in the middle. Rumor has it that whatever lurks in the depths of this cavern may have something to do with the reason the lake is frozen over, but none have been able to uncover its mystery... or at least lived to talk about it. Currently, Air Victoire is the only way to get to Torrenta's unique floating metropolis. In order to meet the tourism demands, a large air ship makes hourly trips between Nurjak and Zephereon City. For trainers looking to challenge Torrenta's own elite four, this final hurdle seems little compared to those which came before, as Air Victoire comes equipped with only the finest comforts one could expect. However, don't take this trip for granted; many Pokemon love to hitch rides aboard this expansive ship, and there is no shortage of strong trainers just looking for a fight. You must complete a route thread here to challenge the Elite Four. An ancient, hidden tower on a small abandoned island. This antiquated and supposedly mystic tower is said to hold an ancient secret. It seems to touch the skies, but when construction began on the tower, no one seems to know. Thunderstorms constantly pour here, though it holds a fantasy-like appeal; despite the constantly pouring rain, it's always quiet. It's as though something different is in the air here. Be careful not to lose yourself, and don't fall! Requires a large, flying Pokemon to access. These ruins, located off the coast of Torrenta, were once a temple belonging to an ancient people. Now, wearied by time they stand alone, flooded by the ocean. Vast chimneys that erupt from the surface of the sea throw down light and air, while strange runes mark the walls, stringing together ancient words and spells in forgotten languages. Recently, these Ruins have become home to a considerable number of Pokemon. Requires a large, swimming Pokemon to access. Nurjak is a city that was born in the center of the Torrenta Region. With roads and pathways heading toward it throughout the region, there's always a way to get to this urban sprawl. This city houses anything that a trainer can need, including the newly built Battle Tower. Nurjak is considered to be the heart of Torrenta, and hundreds of trainers travel through the city daily. Harku Village is a peaceful, quiet little place. The town doesn't have many inhabitants, as the town is at the base of the Rilesia Mountain Range. Very few of the simply built houses are two stories tall, and not a single building exceeds that height. All of the citizens are hospitable and respectful both to outsiders and one another. Anyone who visits the town can be certain that Harku Village isn’t full of country bumpkins who don’t know what electricity is, and its public image is almost always one of utmost friendliness and hospitality. Unless one enjoys the volcanic splendor or has relatives in the area, there isn’t much reason to visit. To reach Harku Village you must pass through Rilesia Mountain Range first. As its title suggests, Sealan City is renowned far and wide for its colorful vegetation and greenhouse-like atmosphere. Sealan could be best described as a lush valley oasis due to its proximity to parched Route Three and craggy Route Two; it's surrounded on all sides by environments nearly opposite its own. And though Sealan City is always bustling with activity thanks to the numerous hotels to accommodate for its tourists and exotic restaurants situated all around, the air is pure and peaceful. A wide portion of Sealan's activity can give its thanks to the gym leader Arcia. To reach Sealan City you must first pass through Deepgreen Trail. Kargarius City is always lively, bustling with sailors coming in from other regions to sell their goods and tourists enjoying the tropical splendor. While it's an active city, Kargarius tends to have shorter buildings that are designed to cater to any tourists. Aside from the gift shops, there are palm trees all over the city, an iconic symbol of sorts for the famed "Tourist Trap" of Torrenta. A significant portion of Kargarius's visitors may simply be there to marvel at the tropical wonderland as well, but there's no denying the constant flow of trainers that seek to challenge Ordan. In order to access Kagarius City you must first traverse the Amon Desert. After finally making it across the long and arduous Kargarius Suspension Bridge, you wind up in a small town similar to that of Lavaridge Town in the Hoenn region. Fyra Town lies on the rocky cliffs of the still active Tiykao volcanic range, its source of electric power coming from a clever system that harnesses the power of the range's heat, fueling the town's needs. Stray Fire-type Pokémon are common, and the town is often assaulted by erratic wind patterns. Here, the gym leader Candance lies in wait. In order to reach Fyra Town you have to pass through Noctem Grotto. After tumbling across Glacier River, you reach a frozen island... or at least what appears to be an island. It's actually a huge glacier. Here resides Glacier Town, arguably one of Torrenta's most frigid locations. Ice, Water and Steel-type Pokémon are commonly found wandering around, and most of Glacier Town's inhabitants prefer to live in log cabins. In this place Casey, the newest gym leader of the Torrenta region awaits challengers. To get to Glacier Town you must first navigate the Glacier River. Welcome to the technologically advanced city of Zephereon! This capital city has thrived with its towering, monumental buildings and people. It has received its name when it was once in the care of the city’s deceased mayor, Athos Zephereous. Whether you’re here for important matters or to simply hang out, be sure to check out some of the sights while you're at it; you'll never know what you'll find. To reach Zephereon City you must take the ground route from Karjun Bridge or take the blimp from the Victory Air Transportation Service located in Nurjak City. This is an area for those looking for travel companions, a place to relax and unwind, to find rivals or just trainers to battle, etc. It is spacious with a battle floor, Pokecenter, cafe and lounge. You can also come here to shop. Welcome to Torrenta's Excavation Site! You may come here once a week to help Dr.Grant dig to uncover Torrenta's past! While digging you can find an assortment of items! If you're feeling lucky, you should join the multiple trainers in digging and see what you get! Adopt a Pokèmon here, or become a breeder and let others adopt Pokèmon from you. You can also open an Adoption Agency so that if you have Pokèmon you've caught previously in your adventures that you don't want or can't handle anymore, you can adopt them off to good homes. NOTE: Please read the rules before becoming a breeder or an adopter. Here you will find countless trainers and battlers ready to challenge your mettle and skill on the battlefield. Be warned, the conditions are unique and some could even say harsh, but the fruits of your labor will not go unrewarded. If you have what it takes to endure and surpass the Battle Tower, then you will earn not only precious rewards, but bragging rights like no other. Keep your eye on the prize in here, and the prize is the victory in battle. The Battle Floor is literally a square of flooring hovering over a grassy landscape. Trainers may battle here and aim to become the top battler on the leaderboard!